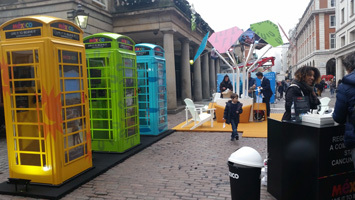 An original K6 kiosk on the left and a Phoney Box on the right. 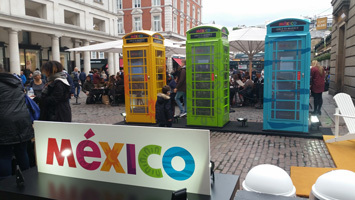 Phoney Boxes in Covent Garden, London for "LIVE IT TO BELIEVE IT" visitmexico.com. 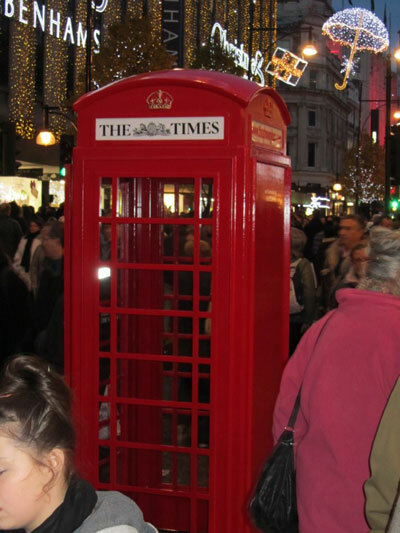 The Phoney Boxes went with One Direction all around the world for the One Direction phone booth campaign. 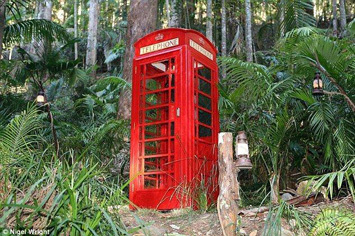 Is that a London red K6 telephone box in the jungle? 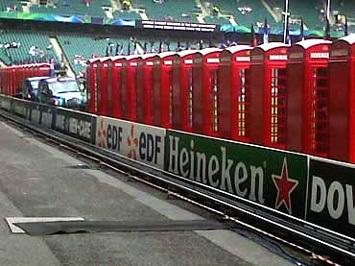 The Phoney Box goes to Twickers!! 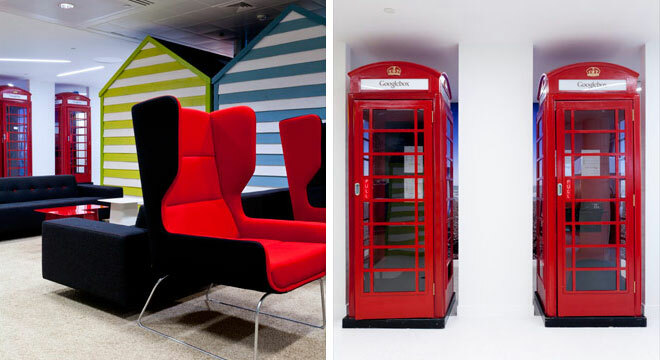 Google are using our Phoney Boxes as call boxes in their offices. Click on the picture for a larger version. 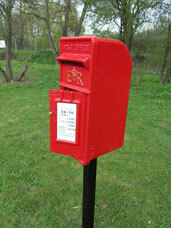 We also produce replica post boxes. These great looking boxes have a solid, fully working door with a lock. Ideal for internal mail in your office or on an exhibition stand for business cards and suggestions. 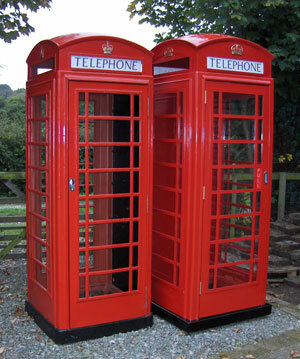 Just like our replica red telephone boxes the post boxes are available to purchase or hire. 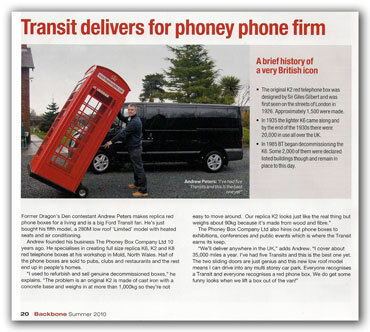 We make the K2, K6 and K8 replica telephone boxes but the story doesn't have to end. If you have a product or idea that you have been thinking about, then let us know; our design and manufacturing team could bring the idea to life! 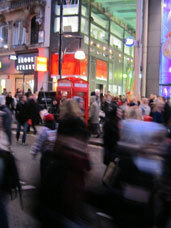 The Red K6 Telephone Box has long been a true design icon - known all around the world to be as British as the red London bus. 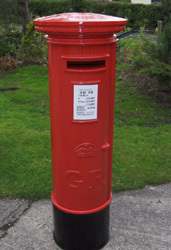 We also have a range of Replica Red Post Boxes. Please complete an enquiry form or call us for more details. 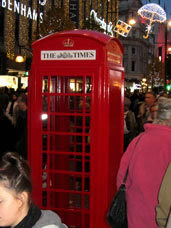 Phoney Boxes were used as red K6 telephone boxes to advertise during the Oxford and Regent street London Christmas shopping event. THE EIGHTIES ARE BACK ! Due to requests we are now able to offer a replica K8 1980s model. Just like our K6, the K8 is available in a kit ready to assemble, or we can deliver and assemble the boxes for you. It doesn't have to be red! 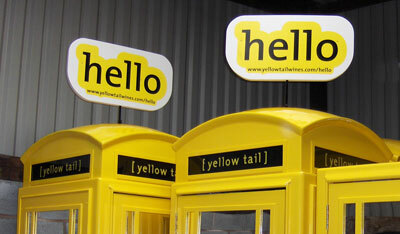 The Phoney Box is ideal for advertising shoots. It's lightweight and easy to assemble on location. 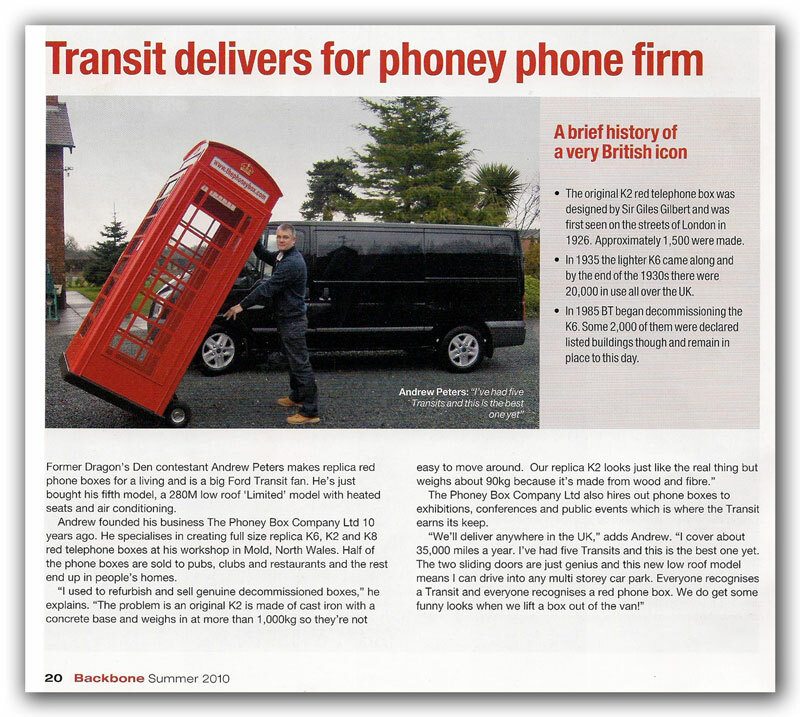 The Phoney Box appeared on Dragons' Den on BBC2 at 8.00pm on 21st February 2007. We didn't win but the five Dragons had a bit of fun by all managing to get inside the box. It was an amazing experience and certainly gave us the kind of exposure we need to make people aware of the potential of the product.